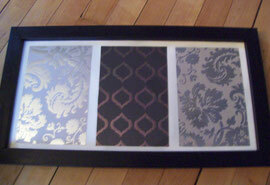 Buy a used, inexpensive frame at a Goodwill or thrift store. I bought this wood frame for $1.49. 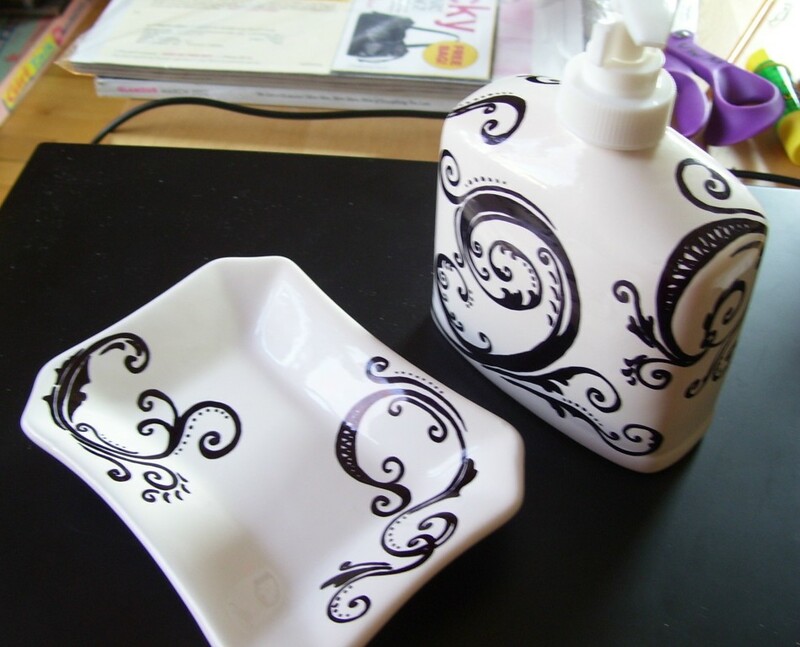 Paint with black acrylic paint or spray paint any color you desire for a bold new look. 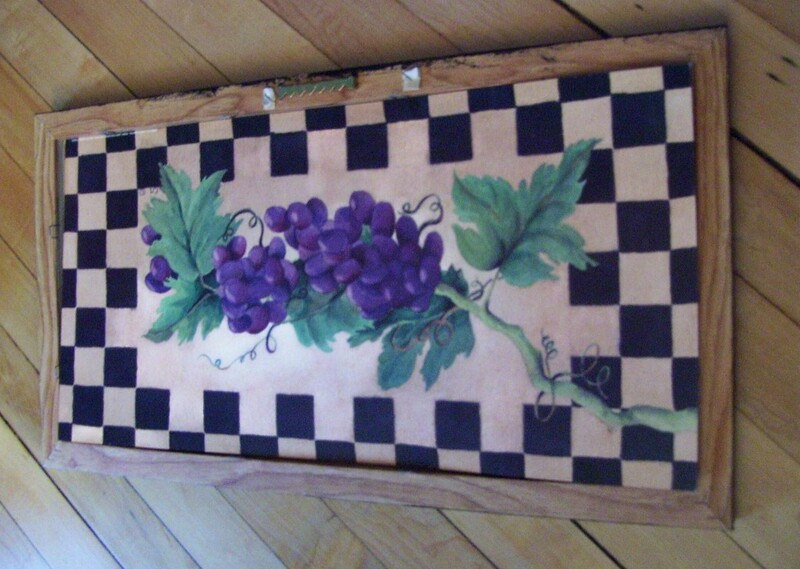 Take the old picture out (the vines and grapes) and replace with white paper. 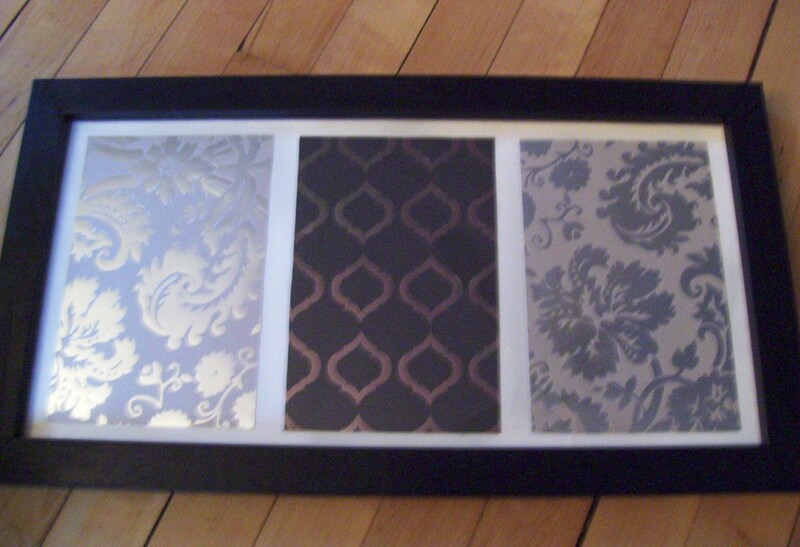 Find decorative paper or wrapping paper with an interesting design. 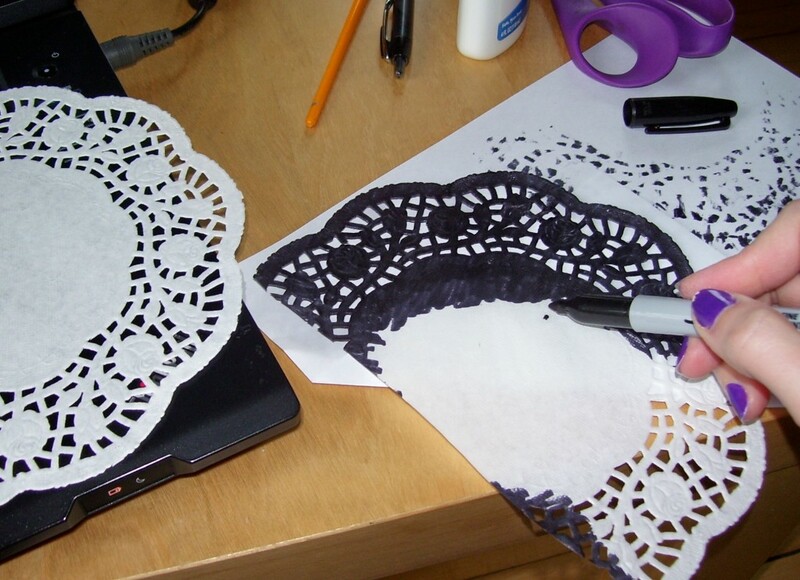 Cut out rectangles or squares and glue it onto the white paper. Wa-la! Looks like you bought this for much more in a store! 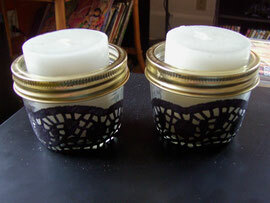 Decorative lace jars for candles! Simple and Elegant. Use lace doilies (I used paper ones -inexpensive!). Color with permanent marker. 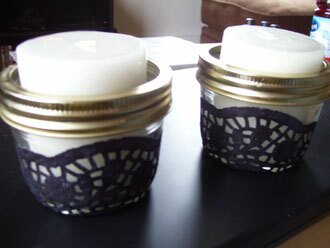 Cut a portion of the doily out; enough to cover the jar. Smear glue with your finger all over the back of the doily and wrap around jar. Place candles inside for a beautiful decoration in your home. 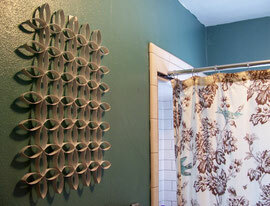 Cut strips of toilet paper rolls and paint them any color you desire! 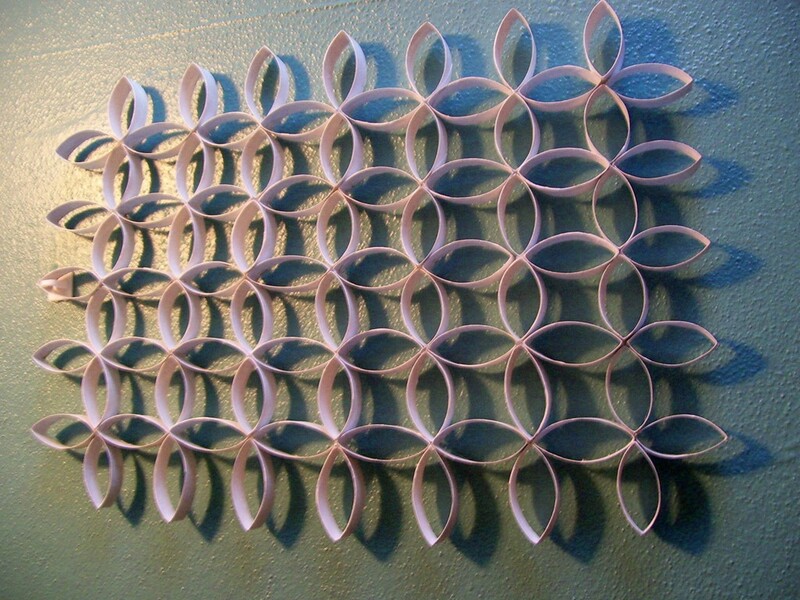 Arrange them in any design you want (I did a geometric design below). 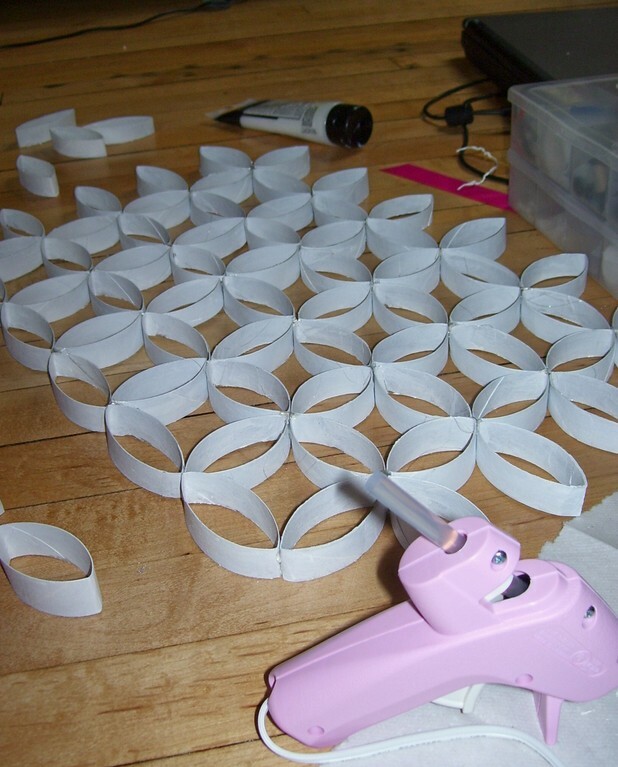 Line them up before you start gluing to get your exact design. 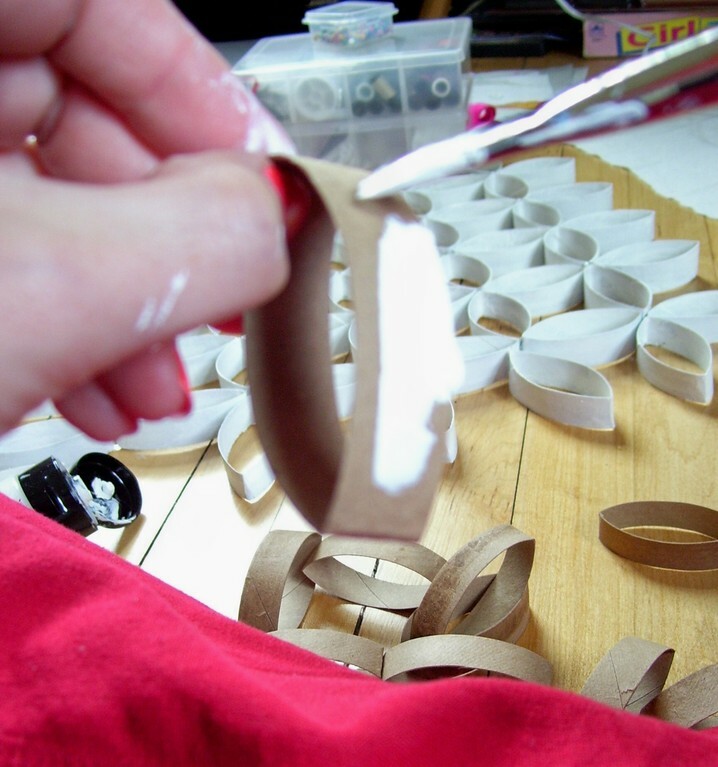 Use hot glue to connect your pieces together. 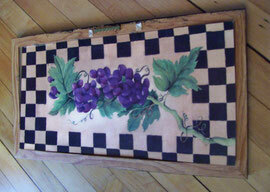 Hang on your wall for the finishing touch! 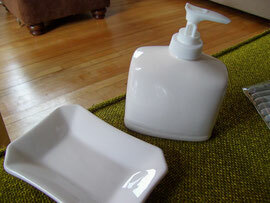 Buy a plain, inexpensive dispenser. I bought these for $1 each at the Dollar Tree. 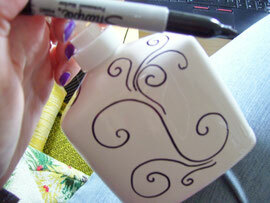 Use permanent marker and create what ever design your heart desires! 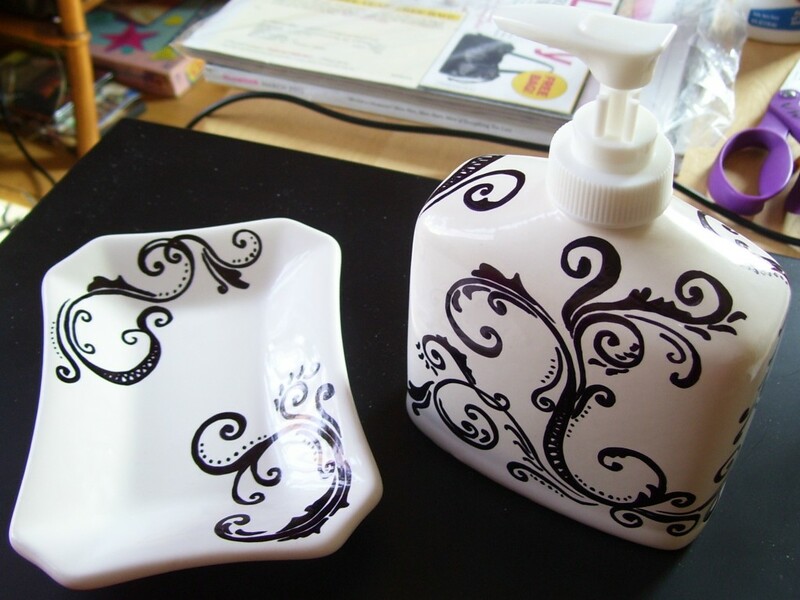 Paint with clear paint a coating over the top (Mod Podge) or a spray glue adhesive (I used Elmers Adhesive Spray). 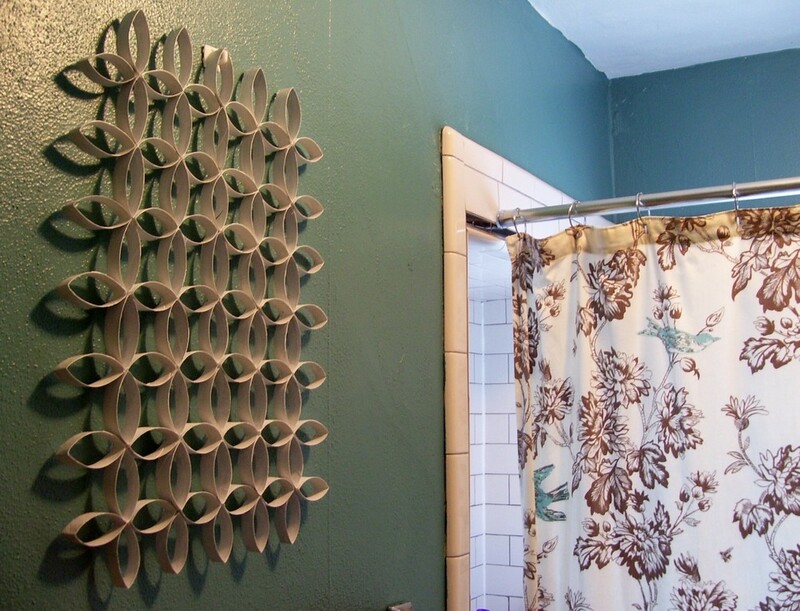 If you can't find items to match that shower curtain of yours- create them yourself. Looks like you paid a good amount for these! Great craft project for children to get creative as well! 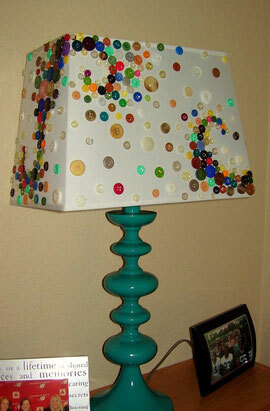 Choose colored buttons that accent your home decor. Plan out a design before gluing bottons on. 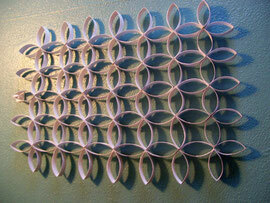 I used a continuous swirl design and hot glued them onto a modern, rectangular lamp shade. Colorful, fun, creative, and original!